ASK has announced that its contactless transit card, Carte Azur, will be used in the new electric vehicle sharing program for the French Riviera and Monaco. Called “Auto bleue,” the eco-friendly car sharing service will be available to travelers in the greater Nice area and Monaco. Initially, only 48 vehicles will be available for use in 16 stations, but the program is expected to reach 210 cars in 70 stations by the end of 2012. 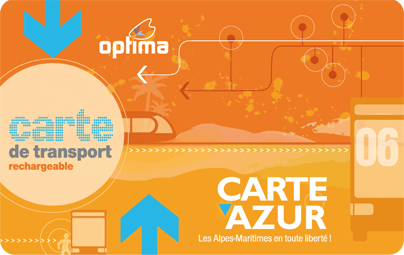 ASK’s Carte Azur will be used to access the vehicles in the stations and unlock the car doors. Ligne d’Azur card for Nice transportation can also be used for this new service. ASK, who has been providing smart card services for Nice city transport since 1998, first launched the Carte Azur in February for use on trains, buses, light rail and bikes across the entire public transport network of the French Riviera and Monaco.